Completed 1950 as Velutina for Anglo-Saxon. 1971 aft part scrapped Hendrik Ido Ambacht, fore part converted to crane vessel Champion by Machinefabriek Boele Bolnes for Heerema Marine Contracters. 1990 sold to Hydro Marine Panama and renamed McDermott Derrick Barge No.32. 1991 scrapped. Model builders Plymouth University. The Velutina was one of the early a??Va?? class tankers and the layout of her ER was such that it seemed as though the machinery had been dropped in and bolted down where it fell. Whilst I was on board the condenser needed a tube repaired and a leaking main injection valve meant that a steel plate had to be secured outside by divers using shot bolts that went through the hull plating. This was done while we at Mena Alamadi in the gulf. The whole job took about two weeks. 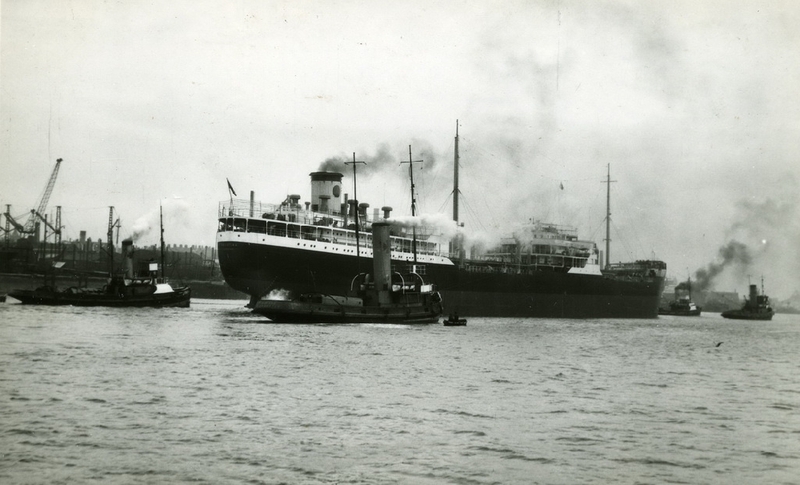 I joined Velutina aged 17 at TW Greenwells No1 drydock March23rd 1953 in Sunderland my first deepsea ship experiance we was away for 9 months going all round the world . 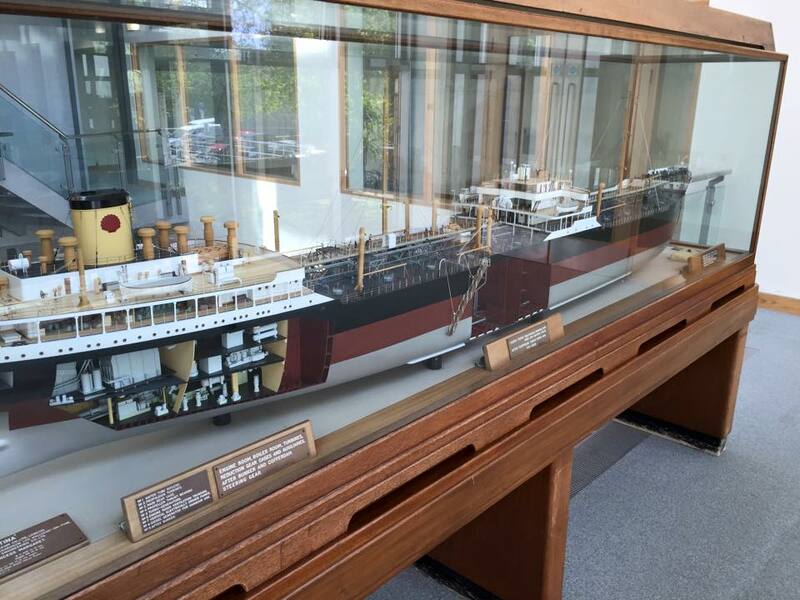 The scale model of this ship is on permanent display in the University of Plymouth..
somewhere in the Gulf, and Seamus, bag and baggage was transferred by lifeboat. messages for him as the equipment was new to him and he had problems with it. Eventually Velutina bore off down towards Sri lanka en route to Geelong and we lost contact. From what I heard afterwards he made it back to Europe and handed his notice in - can't really blame him. who made my job easier that it might have been as I was still pretty green. My great uncle was the foreman at Swan Hunter's shipyard at Wallsend on Tyne.I went to the launch and was taken under the ship and I tapped her hull before she was launched.I was 15 years of age.I like to think my tap on the ships bottom bought her luck.After I came out of the army in 1954,I joined Shell oil. I joined the "VELUTINA" at Smiths shipyard in South Shields, on the Tyne. 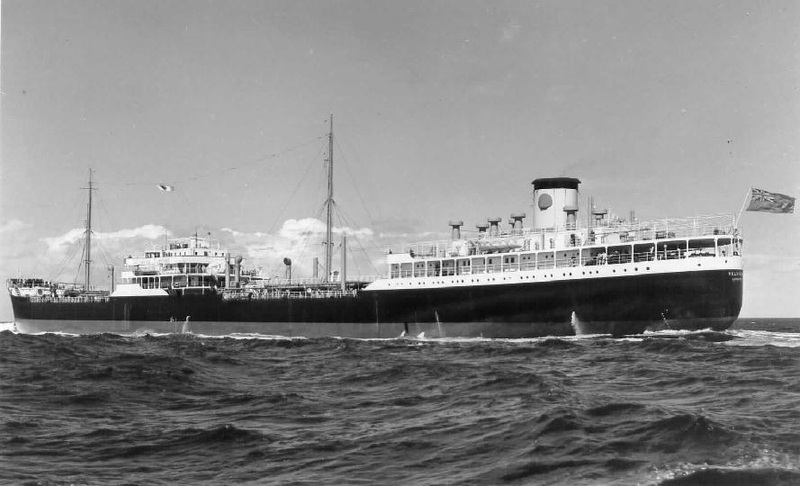 It was my first ship after leaving the "VINDICATRIX" training school. It was only supposed to be a six week trip to the Persian Gulf, to get my sea legs, so they said, but it didn't work out at all like that. 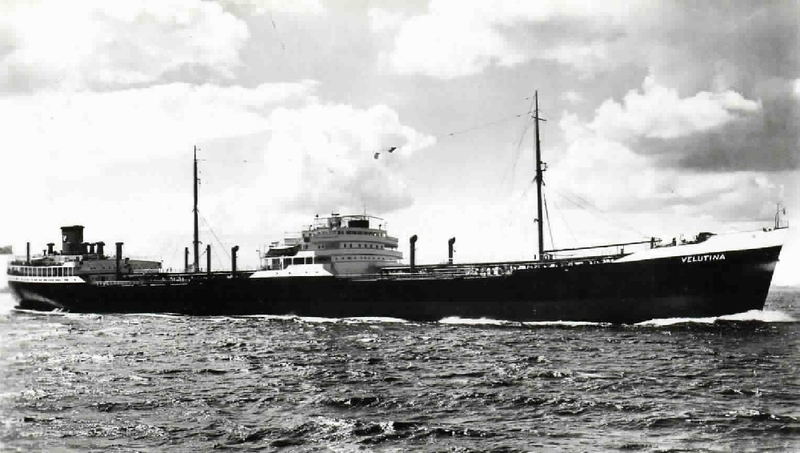 after the repairs were made, which took about six weeks, we finally set sail for the gulf,or so we thought, but a couple of days at sea the ship was sent on a tramp and it was months before we got to Mena al Amadi. So much for getting my sea legs. We finally got back to KG 5 dock in London Just before christmas. George Hughes. In my 7 months on the Velutina we went aground in the St Lawrence River, had a collision with the lock wall in the Panama Canal, mid Atlantic a hole appeared in the ships side in the boiler room below the waterline and we had to call into the Azores to get a plate welded over it, polluted Lake Maracaibo, couldn't heave up the anchor off a U.S. port due to a lack of deck steam pressure. All in all it was a quiet trip. Have you sailed on Velutina? Log in and add yourself as a sailor to the Velutina! Log in and add your personal story to the Velutina!